Gemini is a two-for-one deal when it comes to being a friend or romantic partner. They have dual sides and even a darker side that can drive a friend or lover crazy. However, because they're so much fun, they always seem to have many friends and lovers. Typical Geminis are curious, friendly, intelligent, youthful, and playful, no matter what their age. They're turned off by anything routine or ordinary and have no problem fitting in with or meeting new people, but if you're unique and stand out in the crowd, they'll be attracted to you. Friends are the name of the game as far as a Gemini is concerned. You certainly won't be their only friend, and they are not the best confidantes, but they are fun. So how do you attract a Gemini as a friend? You don't need to tell jokes or do silly things to be to be witty and fun; you can make clever and comical observations. Geminis like their friends to be in the moment, think on their feet, laugh, see the humor in situations and point it out in a fun and intelligent manner. Nothing impresses a Gemini more than someone who can go toe-to-toe with them intellectually. Show off your smarts and provide them with intellectual stimulation; discuss social issues, share your technical knowledge, give your opinions, and be willing to debate. However, be open-minded, don't tell them they're wrong, and above all don't criticize them. Want to catch a Gemini's eye? Dress casual and be fearless; mix patterns and bright colors and be original. Even if it's a business or formal occasion, add some funk and originality. Geminis enjoy playing games and love the thrill of the chase, so be witty, fun, flirty and intelligent, but also a bit mysterious, keep them in suspense, and play it cool. Give them a lot of attention one day and ignore their calls and texts the next. In short, keep them on the edge of their seats by being slightly elusive. 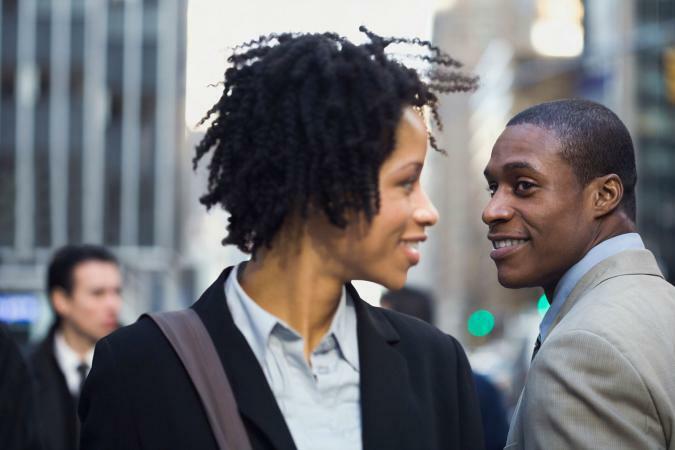 Gemini men and women are attracted to the same things in people, but they are a bit different when it comes to a romantic relationship. Gemini men are huge flirts and are attracted to good looks. They put physical attraction first. They're also fickle, have short attention spans and generally flit from one brief love affair to another. Gemini women are first attracted to intellect. They also use their heads and know what they're looking for, however, if they're dissatisfied with a partner, they can quickly move on to another. Attracting a Gemini's attention is easy, it's a bit more challenging to keep their attention. Geminis can quickly become restless and bored; they aren't the best bet for a bosom buddy or a long-term relationship. The trick to keeping a Gemini's focused on you is to be a constant surprise and create ongoing excitement. Reinvent yourself from day to day by changing your "look," style, appearance, and interests, this way they'll feel they're with a person they've never met before. Be spontaneous, think out of the box and come up with offbeat and unusual last-minute plans that they'll find impossible to resist. Give them plenty of space, don't be possessive, don't show signs of jealousy, and be flexible. Everyone is more than just their Sun sign. The Sun is your center and shines its light on your entire life, but Venus is considered the planet of attraction. A Gemini's Venus adds more flavor to what attracts and pleases a Gemini, while Mars adds to the picture in terms of sexual attraction and style. If you want to know these sign placements, you can find them in Café Astrology's Venus and Mars tables.